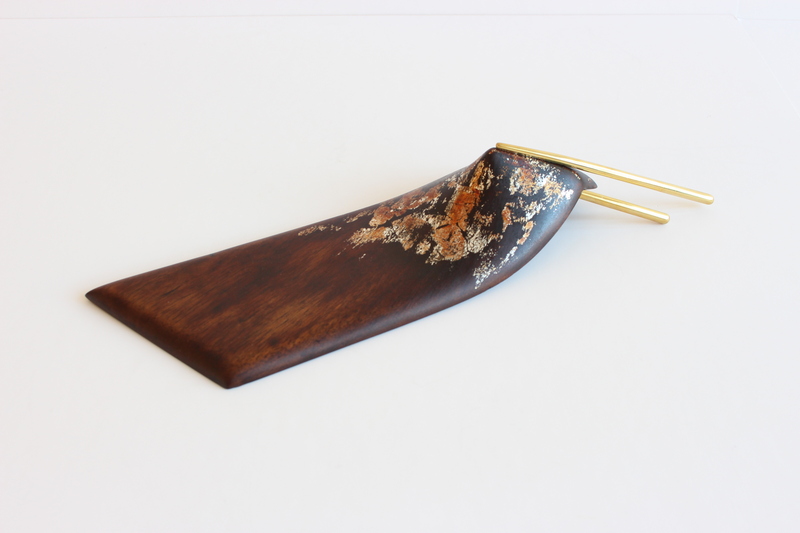 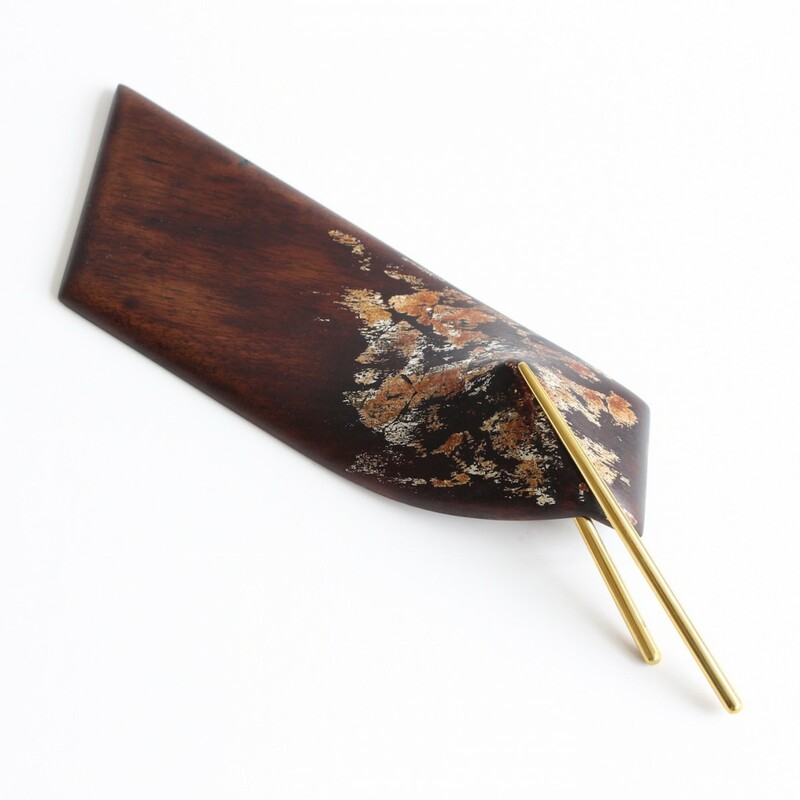 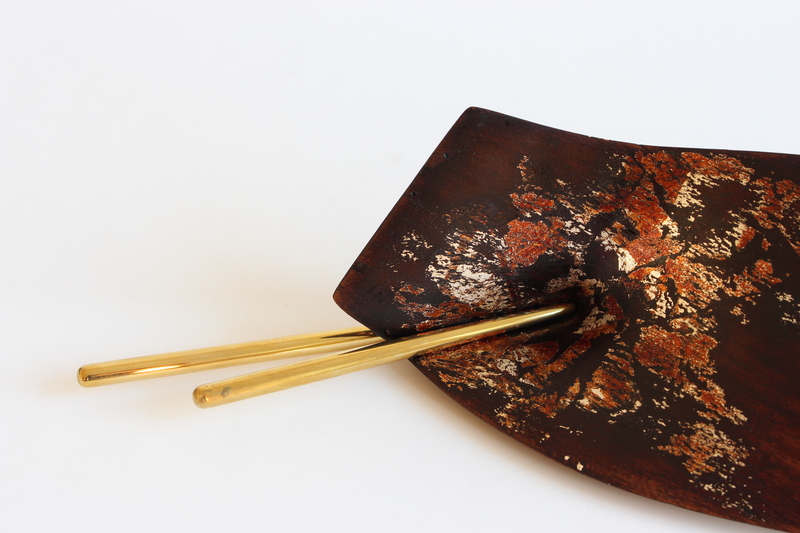 This plate is made of brass, walnut wood, silver leaf and ottchil lacquer. 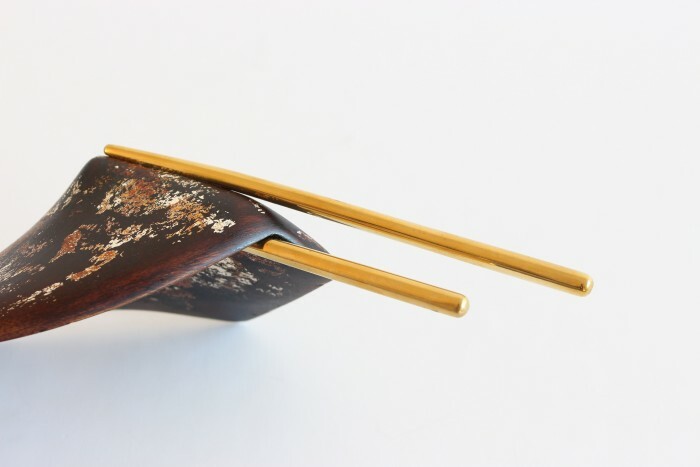 Techniques used: carving, forging, plating, ottchil or urushi natural lacquering. Working time: approximately 48 hours.